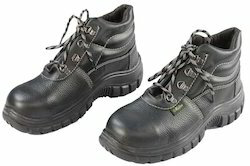 We offer a comprehensive range of Safety Shoes, Gumboot, and Safety Gloves to our esteemed customers. These are supplied in a wide range that is made using premium grade quality raw materials and innovative technology, which acquired various customers due to its quality and durability. We offer a varied range of this component which is progressively improved to provide longer life. Industrial Safety Shoes High Ankle with DI Abrasion Resistant Anti Slip PU Sole with Upper 1.8 mm Top Quality Buff Leather with Imported High Carbon Anodized Rust Resistant Steel Toes, Available Sizes 5 to 11 Nos. 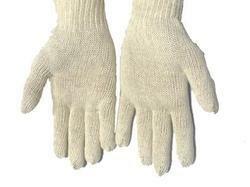 We are instrumental in manufacturing and supplying a premium range of cotton hand gloves that are widely used in automobile, packaging, mining, material handling and many other applications. Fabricated using premium quality cotton yarns, these are widely acknowledged for their easy fitting, high chemical/ temperature resistance and light weight. 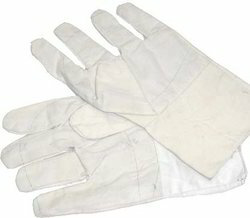 The Dotted Hand Gloves manufactured by us are remarkable for their exceptional quality and standards. Our polka dotted hand gloves are made available in the widest range of design and pattern. Its range presents you with an option to choose the best dotted hand gloves as per your taste and requirements. 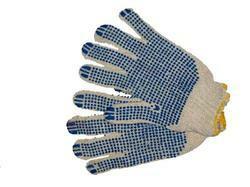 This exclusive range of Knitted Hand Gloves is manufactured using premium quality raw material. The raw material is procured from well known vendors of the market. These gloves are available in vibrant colours and shapes. Our team of designers comes up with elegant designs and brings forth a qualitative array for our esteemed clients. Matrix : NDB derby with good quality printed bartan leather upper with comfortable cushioned lining and steel toe with good quality PVC sole. Looking for Safety Shoes, Gumboot, Safety Gloves ?